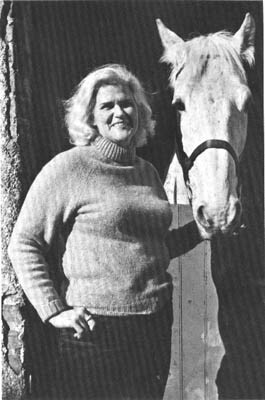 SFWA Grand Master Anne McCaffrey passed away on November 21 at the age of 85. According to Locus Online, she suffered a massive stroke at her home in Ireland. She had written over 100 books during her career, with the Pern novels arguably being her most notable series. It was those dragons that I fell in love with in junior high school. I remember the first time I saw one of her dragons -- in the checkout line at a grocery store, bored beyond measure and looking for something to amuse myself since my mother had already stated she wasn't buying any baseball cards for me that trip. There was a rack of paperback books at the end of the checkout aisle, and the magnificent Michael Whelan artwork on the cover of "The White Dragon" caught my attention and instantly mesmerized me. I remember how stunning the rich blue of the Pern skies combined with the brilliant white of the dragon I would come to know as Ruth, and I can't remember ever pulling a book out of a grocery store rack so gently before. I do remember removing the second copy and placing the first copy back on the rack, because the cover of that second copy was ever so slightly less scuffed, then reverently presenting it to my mother and asking if she'd buy it for me. Her being a teacher, she immediately agreed, and casually asked me to place it on the conveyor, but the thought of the frozen vegetables falling over onto my precious new book and getting it damp was unconscionable to me. It never left my hands until we got back home. It wasn't long before I realized that I was stepping into the middle of a story, and I forced myself to put the book down until I could get copies of "Dragonflight" and "Dragonquest" for myself. From then on, Pern was a place I'd always want to travel to, Michael Whelan's art would never cease to amaze, and dragons would forever hold a special place in my heart. Those Pern novels were irresistible to me as a teen, and when I later, I happened across "To Ride Pegasus" in a used bookstore, and discovered yet another book of hers that I would read over and over again. I also just updated the article to include the links to previous "Cover to Cover" interviews with both Anne and Todd McCaffrey. I haven't read any of her Pern novels in many years, but I still remember them fondly. omg my hero is gone........ i lived some of my life in these books she was my favorite because she created a place i truly wanted to live in god speed and reast in peace.